xculture cooler. : Three Event Series forwarding Conversation, Healthy Cafe Culture and Womxn in Coffee. 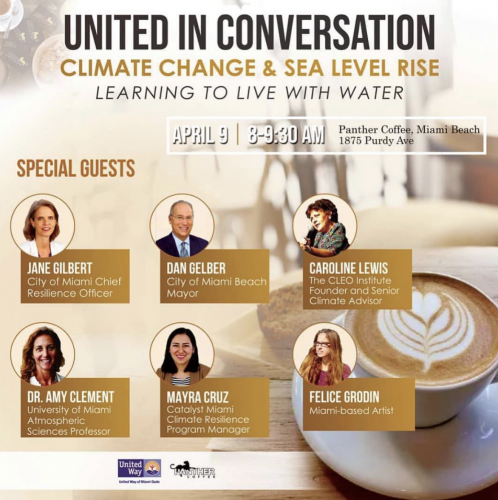 From the city where sun and barrier islands reign, Miami based roaster Panther Coffee, unites with nearly a dozen individuals and organizations to raise the conversation on Climate Change & Sea Level Rise. Since climate change affects quality of life, including lifestyles that we get to choose, such as enjoying the ritual of coffee, the challenges to such quality needs to be addressed not just for self but for Earth’s climate system which impacts Earth and its ecosystem. On April 9, those interested in progress from government officials to artists will discuss Learning To Live With Water, as part of this first conversation in a series. Held at Panther Coffee Miami Beach, this event invites the community to meet and join others for a morning cup and coffee and “community building conversation,” according to its Instagram post. Change agents include nearly a dozen players including Catalyst Miami, Cleo Institute, Mayor Dan Gelber, United Way Miami, University of Miami and more. Should you want to get involved before April 9, Panther Coffee is holding a panel chat about upcycled and sustainable fashion featuring their 100% recyclable tote bag. The culture looks forward to the progress this series of conversations will ignite. It’s an event. It’s a series. It’s a pop-up cafe by the coffee brand that boasts a counter culture spirit and a growing collection of training m centers around the United States. Known for not having physical cafes and instead centers that a resource for training, education and outfitting coffee shops with equipment and coffee, Counter Culture Coffee is now introducing its first pop-up series: Pop Culture. 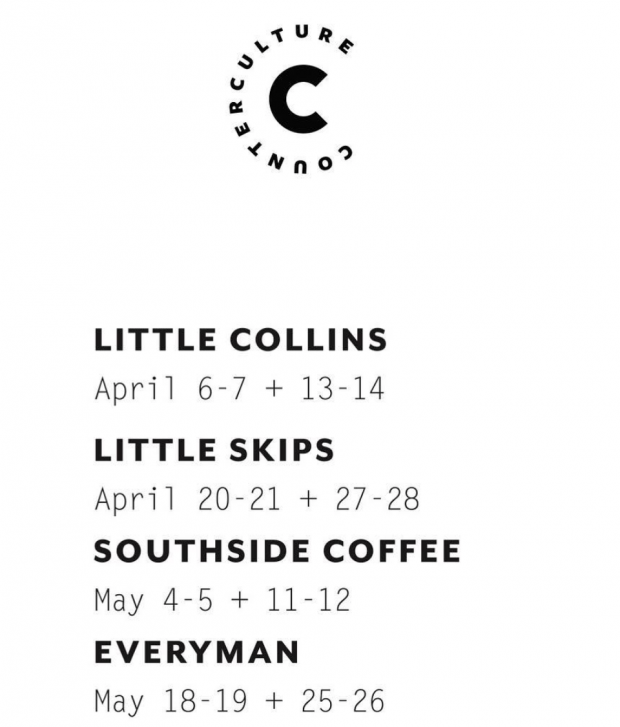 Designed as a rotating cafe, there are four New York based participating coffee partners: Little Collins, Little Skips, Southside and Everyman. Each partner will take two consecutive weekends and bring their coffee experiences to the Counter Culture Training facility in New York. While similar in pop-up nature to the current La Marzocco’s “Roasters in Residence“, which began in Seattle in 2017 and allowed roasters to spend a month showcasing a specifically designed menu, bar flow and their coffee, this residency is an invitation by a roaster to invite cafe’s to reside in its space with a focus on how they interpret Counter Culture’s coffee. Starting April 6th and running through the Memorial Day Weekend of May 25th, the pop-up cafe will be open to guests from 10 a.m. to 3 p.m. What’s exciting about bringing culture and the interpretation of coffee from varied voices into a central place is that it allows a coffee drinking public to explore the similarities and nuance of coffee. Additionally, visitors can learn more about the breadth of what offered coffees can do in the context of different cafes operating in Manhattan – from Midtown to SoHo and in Brooklyn from Park Slope to Bushwick. Crack in coffee culture is a thing you want to hear. It’s the sound roasters listen for heating coffee to a preferable roast profile. First crack alludes to when green coffee beans begin to roast lightly where flavor characteristics begin to pronounce themselves, a trait desired by coffee drinkers aiming to taste the fruit and process of a coffee. The first event was held on March 30th with a host of sponsors. 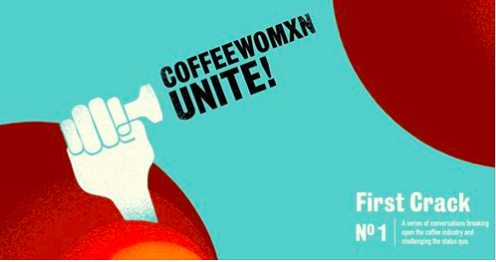 The culture looks forward to event No.2 and how unifying coffeewomxn can be a crack at further uniting the coffee industry. This entry was posted in current culture and tagged counter culture, Everyman, first crack, la marzocco, Little Collins, little skips, miami, Miami Beach, new york, panther coffee, roaster, roaster in residence, southside coffee, wisconsin. Bookmark the permalink.